This beta is being reccomended not just for developers, but regular web users too. Accelerators let you complete your everyday browsing activities more quickly and even discover new services. Start mapping, translating, emailing, and more in just a few mouse clicks. 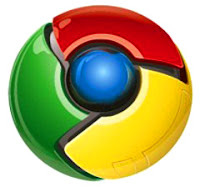 Internet Explorer 8's built-in Compatibility View button enables you to display websites that were designed for older browsers. Simply press the Compatibility View button if you see display problems on a website like misaligned text, images, or text boxes. It's located next to the Refresh button on the Address Bar. Search smarter with detailed suggestions from your favorite search providers and browsing history. See visual previews and get suggested content topics while you type in the enhanced Instant Search Box. Keep up with changes to the sites you care about most. Add a Web Slice and you won't have to go back to the same website again and again for updates on news, stock quotes, online auctions, weather, or even sports scores. 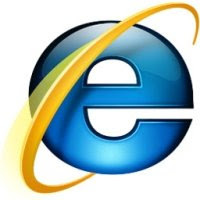 Keep Internet Explorer 8 from adding any sites you visit to Browsing History with InPrivate Browsing. Now you can shop for that special gift with confidence knowing your family won't accidentally find out. Today .NET 3.5 Service Pack 1 was released by Microsoft. This is a significant Service Pack - it includes Dynamic Data which I'm personally very excited about and currently in development with (No more Virtual Machine development environment :) ) It also includes Data Services (codenamed Astoria) and the Entity Framework. The overview page is here. - Check it out for a run down of the new exciting features - this isn't simply a bug fix rollup. After attending NxtGenUG Fest 08 last week in my old office at Microsoft UK HQ, Thames Valley Park, I was particularly excited to hit the ground running with a topic presented by Dave Sussman, ASP.NET Dynamic Data. I think of this scaffolding framework as DataBinding 2.0 - to get a good idea of what Dynamic Data is, I recommend watching this video from David Ebbo. Now, the awesome thing about Dynamic Data is that it doesn't have to work on just a Data Model generated from a database or LINQ datasource. It can work against a business object using the ObjectDataSource approach - this is an amazing ability to save time getting features such as validation, column typing, display names and descriptions etc piped into your application for free. ...and instead I simply modify the build provider to decorate my class with the expected Dynamic Data attributes, and use the "DynamicObjectDataSource" from the latest samples pack. ...from that, a DetailsView control loads showing the correct data, using the correct client side controls (which can be completely customised) based on the data type, with enforced validation using automatically generated validators. This really is an awesome new technology. Expect to see more about this on my blog soon. Many thanks to David Ebbo from the ASP.NET team for helping me out with Dynamic Data. What Do We Think of iPhone 3G? 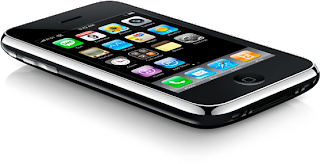 iLounge have added a useful article on the new iPhone 3G. I will be upgrading simply because I'm unable to say no to shiny new gadgets, especially when they combine: Apple, Internet, Email, Development Opportunities & Phone! - It's simply impossible for me to not buy this device! Yes - I know, I'm reminded how geeky this is by Mrs Meineck often! Looking at it with a more balanced head, in terms of new features iPhone 3G is an evolution not a revolution - but this evolution will IMHO help it transform from being the shiny gadget of a few lucky and cash-happy geeks to a device that will permeate through the enterprise and be very popular on the street. Proper Bluetooth implementation - why cant we send and receive pictures with each other? Yes e-mail allows sharing of photos but a large number of my friends don't have e-mail configured on their phones, and often we like to share photos down the pub, bar etc. Why doesn't it support stereo Bluetooth - this is such an obvious feature for the latest iPod device. Better camera - from the keynote it was obvious that the sample images they used must have been taken on some fantasy uber iPhone because with the current camera there is no way you could get that sort of quality. 2MP was good 10 years ago, but the camera is shocking compared to even 2005's standards of auto focus low light sensitive camera phones. MMS - Sure MMS is a costly technology compared to sending an email with attachments - but why cant I at least receive MMS messages natively without having to log in to a cumbersome website, not even optimised for the smaller screen? Lots of my friends send MMS because their phones aren't setup for e-mail, and MMS works well for them. Storage - 8GB and 16GB were a bit disappointing - but only because this isn't an improvement on the previous models. Also amusing/depressing to note that BBC NewsBeat this morning reported the iPhone 3G as thinner, because in the keynote it was reported as “thinner at the edges”, when actually it is thicker overall but has tapered edges which are thinner. They also reported that it comes with Sat Nav - when actually it only comes with GPS enabled Google maps, which although supporting directions isn't exactly the sophisticated Sat Nav like TomTom. (I don’t expect this out of the box, and know it's on the cards from third parties as additional premium software, just annoyed to hear the BBC report so shabbily). Oh well, you will still see me in the queue on July 11th!